Admiral Pitka Recon Challenge 2018 took place from July the 30th to August the 3rd in Jõgevamaa. 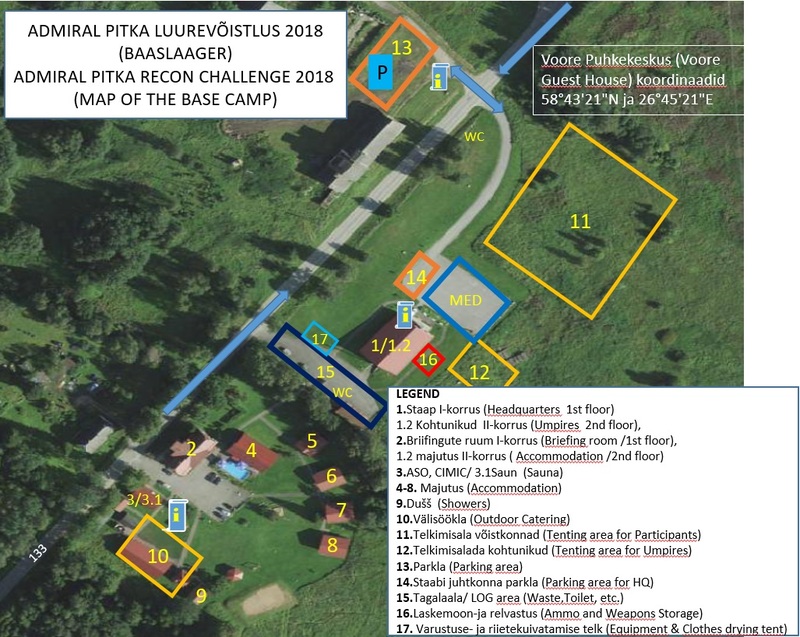 Due to the high risk of fire in Jõgeva County, it is the decision of the organiser of the AP18 Recon Challenge competition to prohibit all participants from making any kind of outdoor fire that is outside of a firebox (furnace, stove, etc.) as well as barbecuing and smoking in the woods during the entire duration of race. Participation in the Team Representatives' Complex Competition is voluntary. Points from this competition will not be added to the team's points scoring. More detailed information will be provided during the team representatives’ meeting on the evening of 30.07.2018. The final run of the competition will end on 3 August at the Laiuse fortress ruins. Teams will arrive from 09.00 until 14.00. The Admiral Pitka Recon Challenge closing ceremony will be held in the Voore Schoolhouse (35V MF 8558 0825) at 17.00.